Lisa has been playing with the brand new range from Christine Smith of Crafti Potential making colourful and quirky cards! The new range features a selection of cute animal stamps! 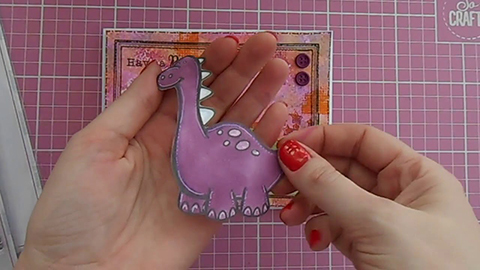 Lisa takes you step-by-step through creating this adorable little dinosaur card including making a unique background.